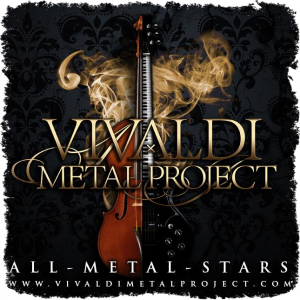 Home » News » Vivaldi Metal Project LIVE shows coming soon! Last year I was honored by the invitation to record some guitar parts for an album featuring metal covers of Vivaldi’s famous violin concerti The Four Seasons, along with the members of famous metal bands such as Symphony X, Rhapsody of Fire, Within Temptation, Angra, Yngwie Malmsteen, Helloween, Stratovarius, Testament, Delain, Tarja, Kamelot, Stream of Passion, and many more. The album was released last July and was very well received by the fans and the press! I’m very excited to announce the news that I’m also invited to be a guitarist in the live band which will be playing this album in its entirety! Sign up to my mailing list by filling out the form on the right (or below for mobile devices) to get all the latest info about VMP tour dates, as well as about my other projects and ventures.